Environmental degradation is a fast-growing problem that not only threatens to erode future development and undermine economic prosperity, but also victimizes and displaces ordinary peoples and communities in some of the most fragile areas of the world. Often grassroots opposition and mobilization is seen through a secular lens, implying that collective action is merely material and provincial. 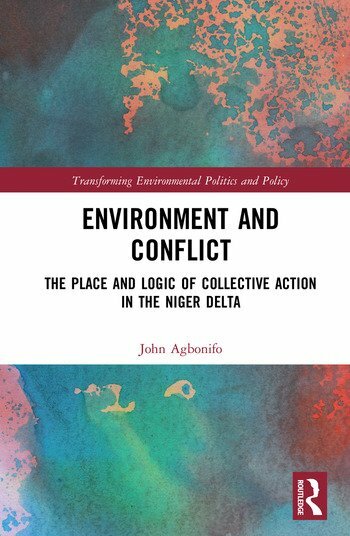 In this book John Agbonifo argues for a decolonization of the environment and to see the environment from the perspective of local communities. He examines the case of the Ogoni struggle against the Shell oil company, and asks how may we understand the struggle of the Ogoni against the state and Shell? Was the conflict merely about a minority ethnic drive at securing provincial advantages in distributional matters, or the legitimate actions of a local community aimed at preserving its environment and livelihood? Exploring the material and symbolic, provincial and nationalist dimensions of Ogoni motivation, Agbonifo's book is the first serious attempt to discuss these issues. The book will appeal to scholars and students of the Niger Delta conflicts, resource-related conflicts and social movements, in Africa and elsewhere. Those researching in the fields of development studies, political geography, civil society and collective action will also find it useful. Chapter 8 - Mobilisation: A Place for Moral Motivation? John Agbonifo is a senior lecturer at the Osun State University, Osogbo, Nigeria.